Most of the Global and Indian companies that lead technology and industry best practices are connecting with their Dealers, Retailers and Channel Partners as one of the most critical initiatives of their Sales-Tech strategy. 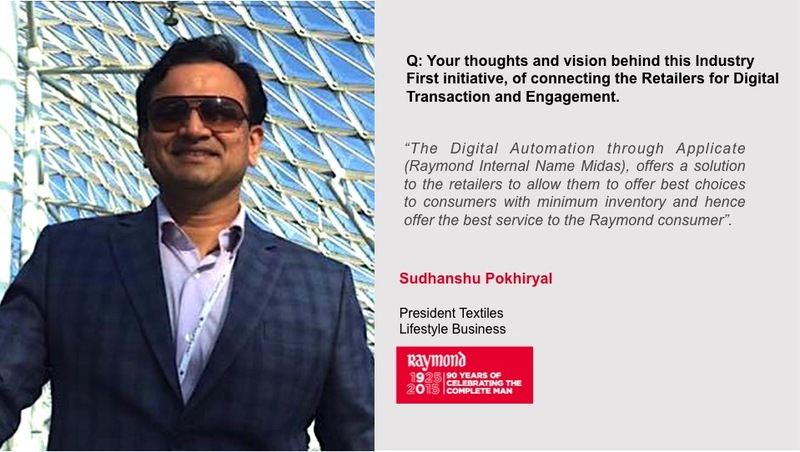 The most iconic and the largest brand in Textile & Lifestyle industry, Raymond is one of the first companies across industries, to have successfully executed this future defining technology at a scale, connecting its Retailers & Dealers for real time transaction and engagement. The project has been done in partnership with the leading Sales-Tech start-up Applicate. Applicate has created the first and the only AI Powered Sales-Tech platform with ready to deploy cloud based products for sales team and channel partners. 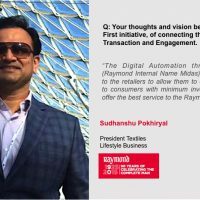 ” The Digital Automation through Applicate (Raymond Internal Name Midas), offers a solution to the retailers to allow them to offer best choices to consumers with minimum inventory and hence offer the best service to the Raymond consumer”, Sudhanshu Pokhiryal – President, Textiles and Lifestyle Business, Raymond. 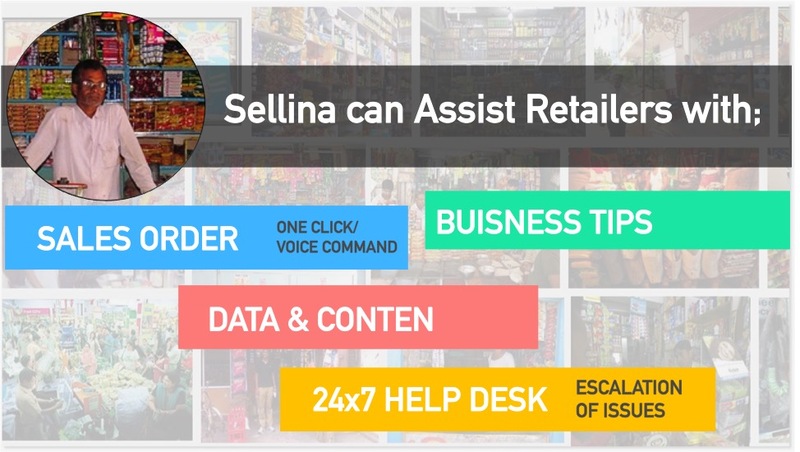 Applicate’s SaaS based AI Powered Platform Channel KART, specially designed for connecting with Retailers and Dealers is the only full service platform developed as B2B Platform for large organisations. Specifically designed for large enterprises, the platform architecture is on a hybrid SaaS model. A hybrid SaaS model, provides an enterprise with far more control over where their data is stored. As well, users can enjoy security and control without having to sacrifice the convenience of the cloud. The platform gets seamlessly integrated with the ERP/DMS of an organisation and has flexibility to incorporate custom work-flows for large enterprise as a part of the Hybrid SaaS model. 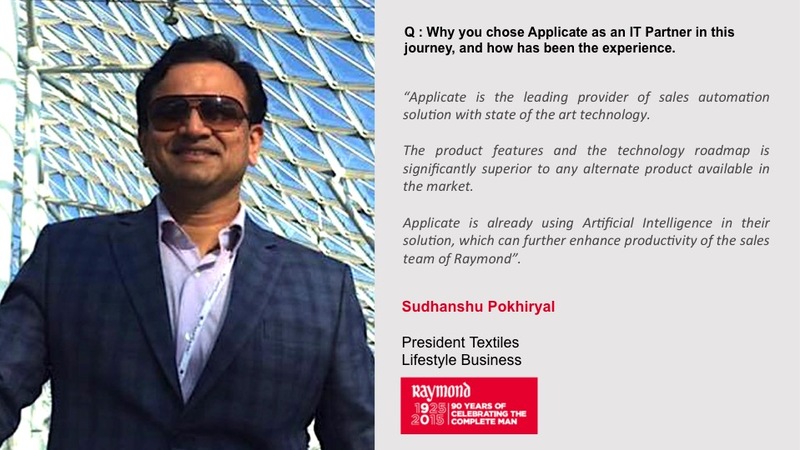 Applicate partnered with Raymond in March 2018. 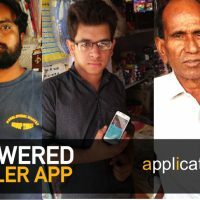 After an extensive PILOT for more than 4 months, now the retailer app has been scaled-up to 1000s of retailers across India. The total no of retailers on the platform is more then 3 times of what was originally planned. The no of transactions happening on the platform and the response from the Retailers and Sales Team has driven quick scale-up. Here is a Q & A session with the man who envisioned the project and believed in creating this Industry first, Future defining tech initiative to transform the most traditional industry. Q: Your thoughts and vision behind this Industry First initiative, of connecting the Retailers for Digital Transaction and Engagement. The Textile industry is way behind in terms of sales automation in comparison to other consumer industries. The varieties in designs and types of fabrics which Raymond offers to consumers requires the retailers to carry those wide varieties. The Digital Automation through Applicate (Raymond Internal Name Midas), offers a solution to the retailers to allow them to offer best choices to consumers with minimum inventory and hence offer the best service to the Raymond consumer. Q: Business Challenges that you plan to address with this initiative in short term and long term. Midas allows us to direct connect with customer located anywhere in the country. It allows timely servicing and delivery of goods as per the customer requirement even for a single SKU. It is expected to significantly improve demand forecasting and hence reduce wastage in the system, which plague organizations and retailers alike in the form of discounted sales. Midas also allows a single face of multiple Raymond Business Units to its retail customers. Most significantly, Midas is expected to give visibility and connectivity of dealers under wholesalers to Raymond, which are currently not visible. Q: Why you chose Applicate as an IT Partner in this journey, and how has been the experience. Applicate is the leading provider of sales automation solution with state of art technology. The product features and the technology roadmap which has been planned is significantly superior to any alternate product available in the market. Applicate is already using Artificial Intelligence in their solution, which can further enhance productivity of the sales team of Raymond. Q: Your thoughts on Future of Sales @ AI. AI will be extensively used in optimizing sales processes, lead generation and enabling sales team to direct their focus in right places. It will also assist in integrating sales and marketing , to provide a comprehensive view of each customer, and a more unified multichannel experience. It allows you to automate repeating transactions like order taking and allows much larger focus on business development, collection and merchandising. Q: Any specific views on partnership, strategy or solution. The partnership with Applicate has just started and we are very hopeful that this would not make a difference for Raymond, but would make the Textile Industry more consumer centric rather than manufacturing centric. Why Most of the Market Leaders are adopting Channel KART !! Biggest competitive advantage and driver of growth in the next 3-4 years. Specially designed for large enterprise with complete control on data, security and custom work-flows. Channel KART is the only full service B2B e-commerce planform with hybrid SaaS architecture. Channel KART is the only AI Powered platform with a dedicated AI Assistant to each channel partner for maximising their ROI and business. LIVE since more than 3 years with biggest global and Indian brands across industries and markets in rural and urban. 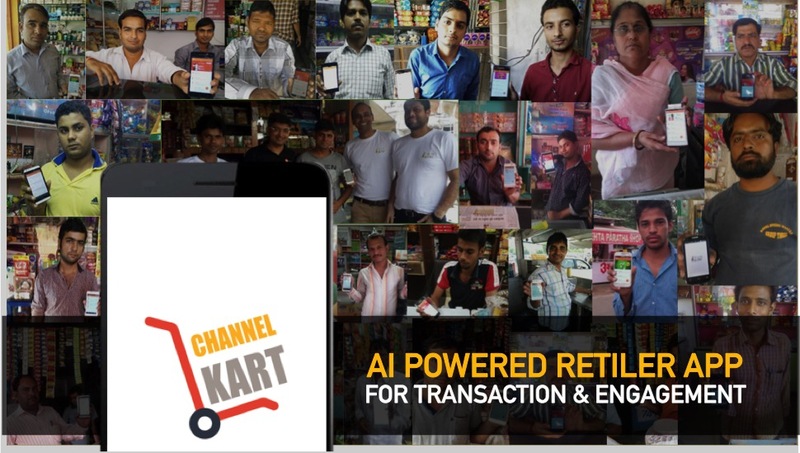 Applicate has created first of its kind B2B platform ‘Channel KART’ specially designed for digital transaction and engagement with the Channel Partners. Channel KART is a ready to deploy cloud-based platform, which is customised for different companies as per their requirements. 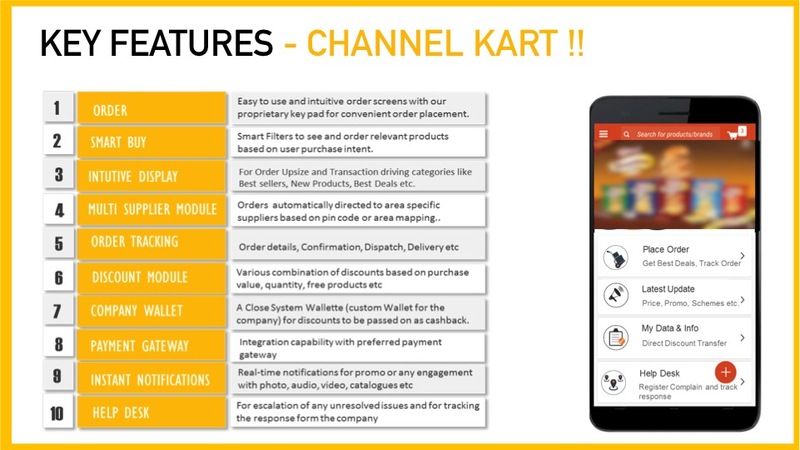 Channel KART is the only Retailer/Dealer App for Real-time Sales Order, Latest Update on New Products, Promotions & Catalogue, Visibility of Price, Schemes, Claims, and escalation of unresolved issues. 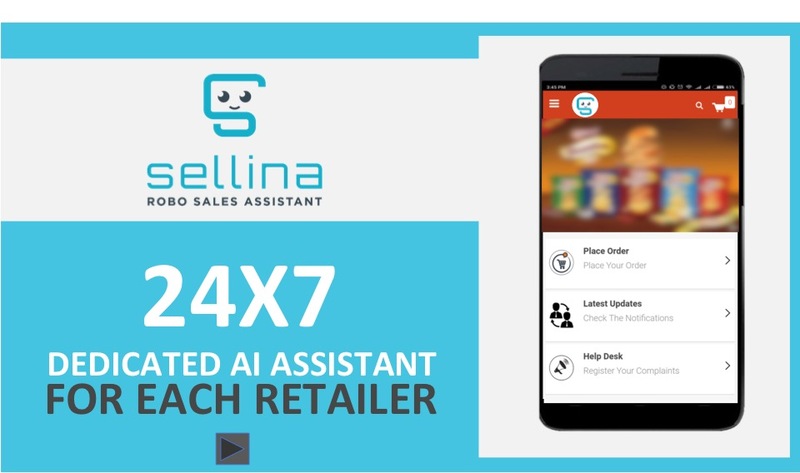 Applicate has created first of its kind AI Sales Assistant ‘Sellina’ that can engage with million of retailer and channel partners simultaneously for sales order, training and day to assistance with information, data and content. 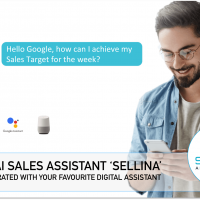 Channel KART is powered with AI Sales Assistant ‘Sellina’. 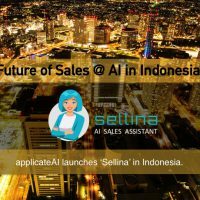 Powered with Artificial Intelligence, ‘Sellina’ can simultaneously assist, and train millions of channel partners across the geographies and channels. 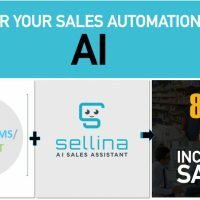 It can even take customer orders in the absence of Sales Reps.
‘ApplicateAI’ is the first Sales-Tech Platform powered with AI and Machine Learning based ‘Sales BOT’ !! An integrated mobile and web-based AI Sales-Tech Platform for all you need in Sales. Ready-to-deploy, next-generation apps for Sales Team, Service Team, Modern Trade Execution Tracking, Merchandising Tracking, Rural Distributors, Retailers, and DMS. One app that works across Roles, Functions, and Channels !! We are already working with some of the biggest Global and Indian brands like ITC, Kelloggs, Britannia, GPI, Diageo, Cipla Health, Perfetti, Bauli, Organic India, Whirlpool, Grohe, Akzonobel, Allen Solly, Louis Philippe, Van Heusen, Jockey, Arrow, U.S. Polo and others to enhance their execution with our Sales-Tech Platform for Sales, Distribution, and Retail. You may watch our Customer Success Stories >>. To know more about Applicate and Channel KRAT, you may write at aayush@applicate.in.